The skirmishers of Breckinridge’s Division advance toward the Lafayette Road. 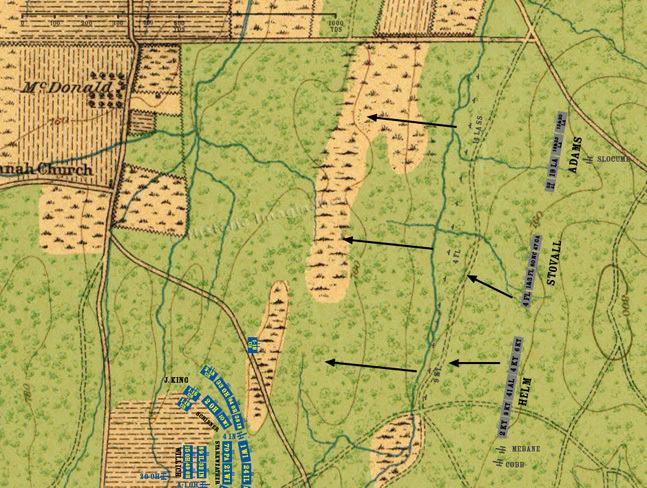 The 4th Florida of Stovall’s Brigade, and the 4th Kentucky of Helm’s Brigade also advance to form a strong picket reserve. The 1st Battalion, 18th U.S. has moved in advance of their line, carrying their log breastworks with them, to form their own strong advance picket.